AUSMIN. What is it? What happens? What are the outcomes? Why is it important? 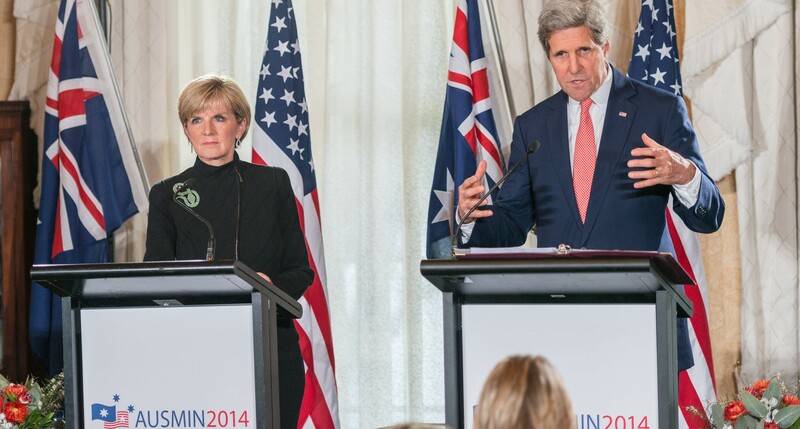 AUSMIN, the Australia-United States ministerial consultation, will be conducted later today in Sydney. It will be the 27th AUSMIN since 1985 when the meeting was first conducted. It involves the Australian Ministers of Foreign Affairs and Defence and their US counterparts the Secretaries of State and Defense, supported by senior civilian and military officials from both sides. These meetings are the most important regular events in the conduct of the alliance between Australia and the US. They enable discussion of developments in the global strategic environment with a sharp focus on matters of mutual concern and interest. They also formalise and endorse alliance policy and agreements. Most importantly, they enable a deepening of trust and collaboration in the personal and collective relationships which provide leadership and direction to the alliance partners. I remember my first AUSMIN in November 2005. Secretary of Defence Ric Smith and I flew to Adelaide to participate in the meeting which started mid-afternoon at Penfold's Winery at McGill estate. The 20th anniversary AUSMIN was attended by Alexander Downer and Robert Hill on the Australian side and Donald Rumsfeld and the Deputy Secretary of State Robert Zoellick on the US side. Initial discussions on the global strategic environment were productive, with ministers and secretaries sharing perspectives and views. Importantly this was a discussion between the four principals. Other officials were only involved when detailed clarification or elaboration was required. The formal discussions concluded in the evening with detailed discussions on Iraq and Afghanistan. After a short winetasting, the 20th anniversary dinner hosted by the Australian ministers provided an opportunity for further discussion and engagement in a relaxed and informal environment with the remarkable personality and wit of Donald Rumsfeld evident throughout a most enjoyable evening. Formal proceedings continued the next day in central Adelaide with extensive and detailed discussion of alliance and interoperability matters. AUSMIN 2005 concluded with a joint press conference with short statements summarising proceedings and reaffirming the strength of the alliance relationship from the four principals. Outcomes included the signing of a memorandum of understanding on joint training and the resumption of strategic bomber training in Australia. Needless to say the Australian media directed most of its questions to the irrepressible Donald Rumsfeld, who gave as good as he got. AUSMIN 2017 will be a particularly important event. It will be the first AUSMIN for Rex Tillerson as Secretary of State and Jim Mattis as Secretary of Defense. Given the events in London, I am certain the terrorist threat across the globe will be high on the agenda. North Korea, the South China Sea, ISIS, Iraq, Syria, Afghanistan, and emerging regional fragility will no doubt be discussed too, making for a substantive and robust meeting. I'm certain these discussions will reinforce the importance of our alliance relationship in a more uncertain and dangerous world. Photo by Flickr user US Embassy Canberra.